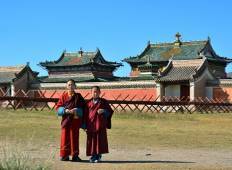 Find the best Amicus Travel Mongolia trips. 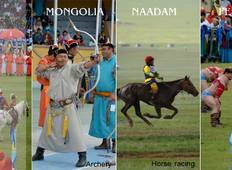 From Mongolia to Mongolia, TourRadar offers 5 tours through 1 countries from Amicus Travel Mongolia. The tours span across 8 day to 16 day itinerary with prices ranging between $190 to $244 per day. "This trip was more than we could have expected. Started off being met by our guide..."
"The services provided by Amicus Mongolia Travel were excellent. Our travel consultant,..."